ICC Champions Trophy 2013: 7th Match, Group A - Australia vs New Zealand played at Edgbaston, Birmingham on Wednesday June 12, 2013. ICC Champions Trophy 2013: 4th Match, Group A - New Zealand vs Sri Lanka played at Sophia Gardens, Cardiff on Sunday 9th June 2013. Sri Lanka vs New Zealand match Schedule to be begins at 10:30 local time (09:30 GMT | 15:00 IST). ICC Champions Trophy 2013: 3rd Match, Group A - England vs Australia played at Edgbaston, Birmingham on Saturday June 8, 2013. Pakistan could take on West Indies in the 2nd Match of the ICC Champions Trophy 2013 Group B Match. 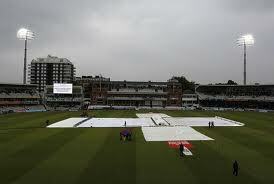 PAK vs WI Group B match was played at Kennington Oval, London on Friday 7th June 2013. Pakistan vs South Afirca match was schedule to be begins at 10:30 local time (09:30 GMT | 15:00 IST). Below find the Live Scorecard Update, Live Streaming links and Pakistan vs West Indies ICC Champions Trophy 2nd ODI Match details. Welcome to the first match of the big tournament mini world cup ICC Champions Trophy 2013. India could take on South Africa in the 1st match of the ICC Champions Trophy 2013. India vs South Africa Group B match was played at Sophia Gardens, Cardiff on Thursday 6th June 2013. India vs South Africa match schedule to be start at 10:30 local time (09:30 GMT | 15:00 IST). Here find the Match Detials, Live Scorecard Update and Live Streaming Links for India vs Australia Match. New Zealand won by 5 wickets with 19 balls remaining against England in the 1st ODI Cricket match Played at Lord's, London on 31st May 2013. New Zealand lead the 2 ODI match series 1-0 by this match. Martin Guptill remained unbeaten on a fine 103 and anchored the NZ chase to perfection taking them home by 5 wickets. After a successfull 2-0 victory in Test Series, England would Take on New Zealand in the 1st ODI Cricket Match played at Lords today. Here find the Match Details, Live Scorecard Update and Live Streaming Links for England vs New Zealand 1st ODI Cricket Match. England skipper Alastair Cook is aware that New Zealand would come hard at his team in the ODI series starting today. ICC Champions Trophy 2013: Pakistan vs Sri Lanka 1st Warm up Match was abandoned without a ball bowled which schedule to Played at Edgbaston, Birmingham on 30th May 2013. Not the ideal start to the mega tournament, but this was just the first of the Warm-up games. The Mini Cricket World Cup, ICC Champions Trophy 2013 tournament to be held in England and Wales between 6 and 23 June 2. The top 8 Cricket team are participate in this Tournament. Here find the Broadcasting / Telecast TV Channel list for ICC Champions Trophy 2013 Cricket Tournament by Country wise. Here in Crcket Veera Blogspot we provide the Internet Live Streaming Links and Live Scorecard Update Links for Each and Every Cricket Match..
Sri Lanka would take on West Indies in the 6th and last Warm up match for the ICC Champions Trophy 2013 Cricket tournament played at Edgbaston, Birmingham on Tuesday 4th June 2013. Sri Lanka vs West Indies Warm Up match was schedule to be start at 10:30 local time / 09:30 GMT. Here find the match details, live scorecard update and live streaming links for Sri Lanka vs West Indies 6th warm up game. This was the 3rd warm up match for Sri Lanka and 2nd Warm Up Match for West Indies. Australia would take on West Indies in the 3rd Warm Up Match for the ICC Champions Trophy 2013 Tournament. Australia vs West Indies warm up match played at Sophia Gardens, Cardiff on Saturday 1st June 2013. Australia vs West Indies warm up match schedule to be start at 13:00 local time / 12:00 GMT. Cricket Veera blogspot provide the match details, Live Scorecard Update and Live Streaming Links for Australia vs West Inides 3rd Warm UP Match. West Indies team played the 1st match under the new captain Dwayne Bravo. India vs Sri Lanka the 2nd warm up match for the ICC Champions Trophy 2013 Tournament played at Edgbaston, Birmingham on Saturday 1st June 2013. India vs Sri Lanka Warm up match schedule to be start at 13:00 local time / 17:30 Indian Standard Time. Here find the match details, Live Scorecard Update and Live Streaming Links for India vs Sri Lanka 2nd Warm up match for the ICC Champions Trophy 2013. Pakistan take on Sri Lanka in the First warm of match of the ICC Champions Trophy 2013 tournament. Pakistan vs Sri Lanka Warm up match was schedule to be played on Thursday May 30, 2013 at Edgbaston, Birmingham. Here find the Match Details, Live Scorecard Update and Live Streaming Links for Pakistan vs Sri Lanka Warm Up Match. Pak vs Sri Warm Up match was start at 13:00 local time (12:00 GMT | 17:30 IST). Pakistan had a very good tournament against Scotland and Ireland lst week. Now they looking forward to the big tournament from the beginning of the warm up match. Mumbai Indians won by 23 runs against Chennai Super Kings in IPL 2013 Final and Won the Championship Title Played at Eden Gardens, Kolkata on 29th May 2013. Mumbai stormed to their maiden Indian T20 League title with a 23-run win over Chennai. Pollard hit a smashing 60 not out while Harbhajan, Johnson and Malinga picked up two wickets each. Pakistan won by 2 wickets with 8 balls remaining against Ireland in their 2nd ODI Cricket match Played at Clontarf Cricket Club Ground, Dublin on 26th May 2013. Pakistan have won the 2 Match ODI Series against Ireland by 1-0 the first match was tied by DL method on Thursday. So Pakistan win a memorable game of cricket by two wickets. Ireland seemed to have the upper hand when they reduced their opponents to 133 for 7 but superb hitting by Kamran Akmal and Wahab Riaz changed the game. The Pakistan wicket keeper takes the man of the match award while Kevin O'Brien takes the man of the series award. With this victory Pakistan take the series 1-0 which will count as good preparation for their Champions Trophy campaign beginning next month. Welcome to the IPL 2013 Final Match Chennai Super Kings vs Mumbai Indians Played at Kolkata, Here find the Match detials, Live Scorecard Update and Live Streaming Links for CSK vs MI IPL 2013 Final Match.